Fully remodeled and turn-key ready at its very finest. 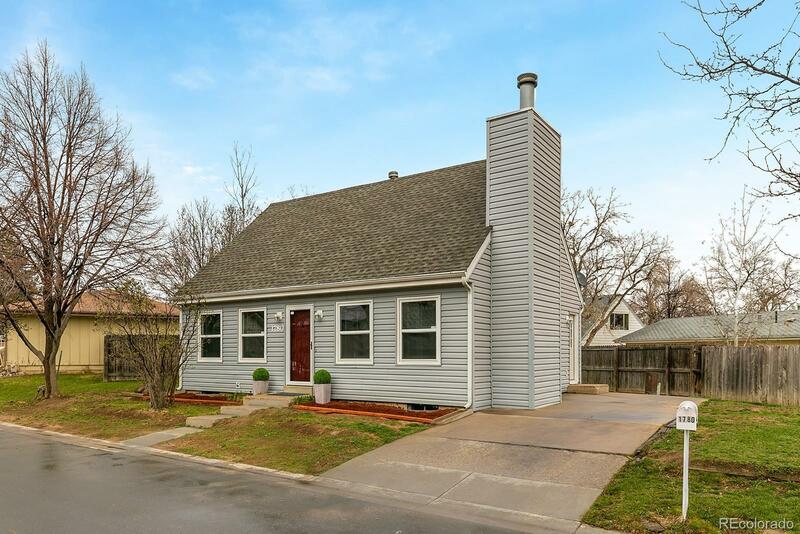 This lovely Lafayette home boasts so many recent updates including new double pane windows, new appliances, new lighting fixtures, and accented fire place along with a newer furnace, water heater, new flooring, new interior paint, new blinds. The light filled living room greets you nicely transitioning into the kitchen and dining area. You will love the sizable kitchen with popular two tone finishes, subway tile back splash, and all stainless appliances are included. Two luminous bedrooms and a full bath complete the main level of the home. Upstairs you will find a third and fourth bedroom along with a secondary full bath to complete this thoughtful layout. Out back is an expansive patio for you to enjoy a Summer BBQ with family and friends along with a large utility shed perfect for extra storage. Plentiful neighborhood trails and open spaces are nearly in your back yard along with LaMont Does Park.